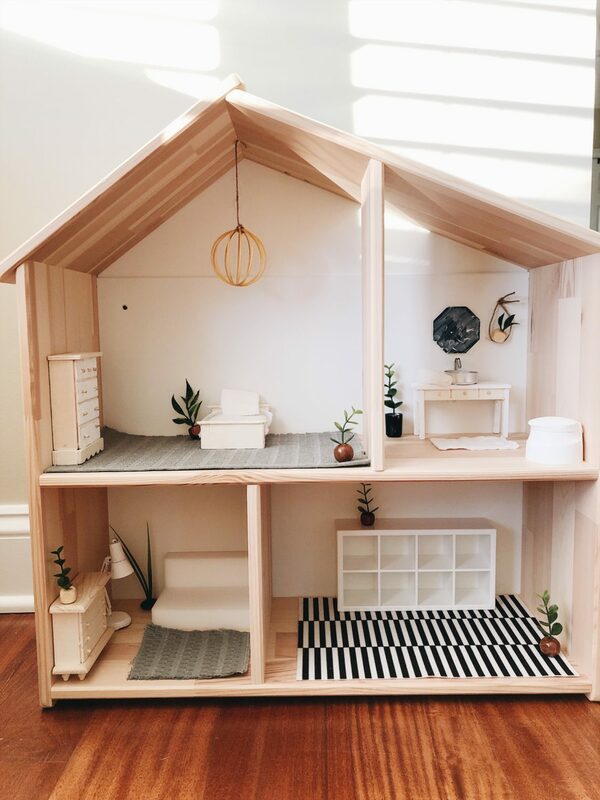 So, one day I saw a blogger I follow do a dollhouse reno, she made these tiny dollhouse plants and I was like – wellllll sure, of course she can do that, she’s super talented at every single thing. Which turned into me jumping on pinterest to look at all of the dollhouse reno’s and let me just say, woah, I did not know the black hole that would turn into. And this is how projects start for me, I see all of the possibility then I jump in, head first. The good news is, the investment on this was super low, we already owned the dollhouse, I just needed a few pieces to get to the vision I had for it. So, off to the dollar tree I went, oh yes, the dollar tree. I reno’d this dollhouse for less than $10. Upper Left – The rug is a placemat cut to size, the bed and dresser where in the toy section of the dollar tree, the plants are made with beads (we already owned) and snips off of artificial stems we also already owned. The snip of the stem was just hot glued into the bead to secure it into place. The bedding was made from cutting a small white blanket we already owned. The chandelier is a cat toy, I took the little mouse out and secured it using twine and hot glue. Upper Right – For the bathroom the little vanity was in the toy section and I just painted the edges and top white. The sink is the bottom of a votive, the sink hardware is a command hook. For the mirror I used a tile I already had and painted it blue, the rug is another clipping off the white blanket from the bedding. I also snipped off a smaller piece for a rolled up towel set on the vanity. The toilet is the top of a creamer bottle painted white. The hanging basket plant is a bead hung with twine and hot glued into place. Bottom Left – the buffet was in the toy section and I left it as is. the small lamp is a reading light – it was red and I painted it white. The plant is the same thing, bead + snips from an artificial plant. The couch is made of magic erasers and the rug is another clipping from the placemat. Bottom right – this is a makeshift kitchen, I am still looking for the perfect kitchen and haven’t found it yet. 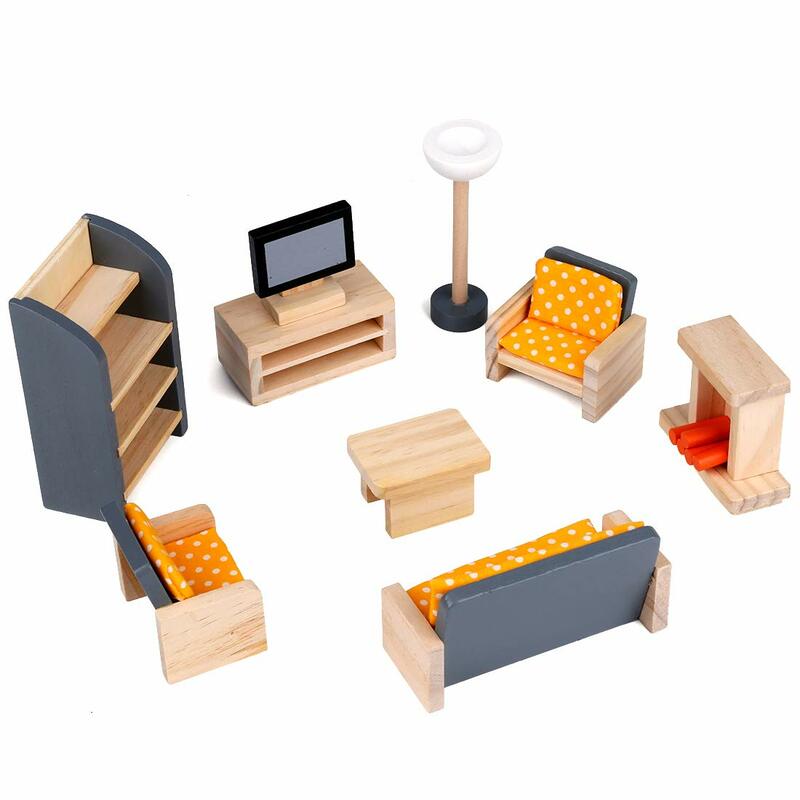 These pieces we already owned from the ikea dollhouse set we purchased a year ago. The plants are more beads + clippings. For the kitchen, I’ve been eyeing this one. 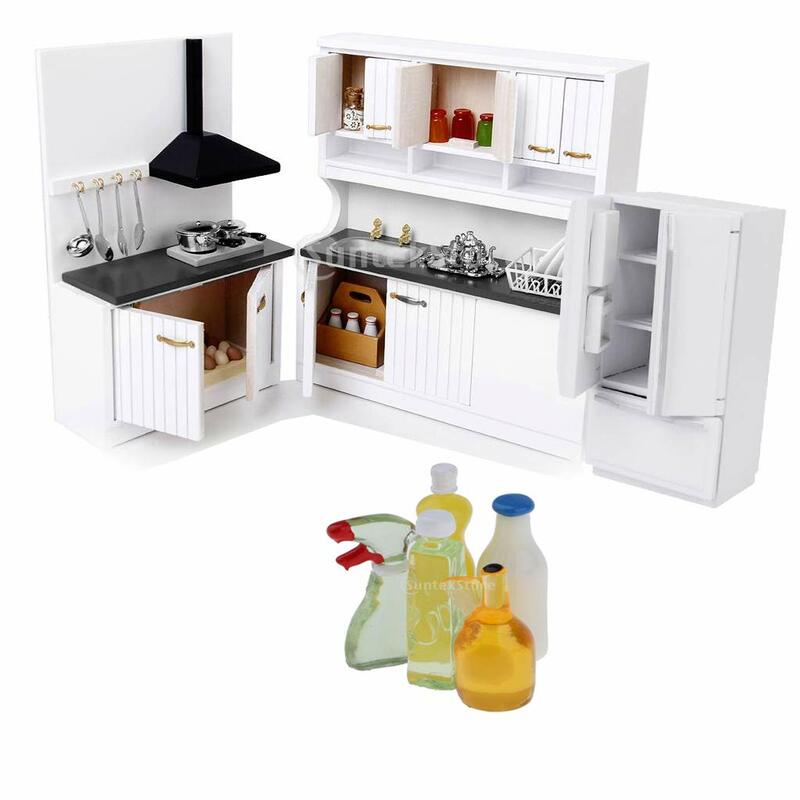 If you don’t have a dollar tree near you, this is a really cute wooden 1:12, scale dollhouse set, you can find it here. What do you think? Any dollhouse reno’s in your near future? This blog post contains affiliate and referral links which may reward me if you choose to purchase through my links at no additional cost to you. I use these funds to keep my blog up and running. Designed with Love & Care by Kelly Cain. You can't pour from an empty cup. 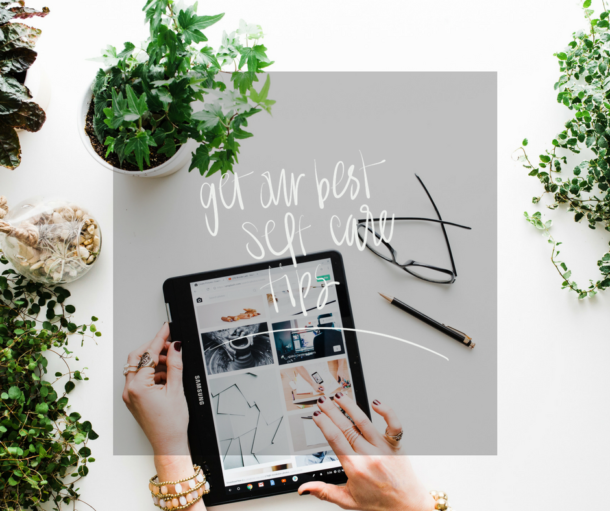 Get Our Best Self Care Tips! Yay! Our Best Self Care Tips are on the way!